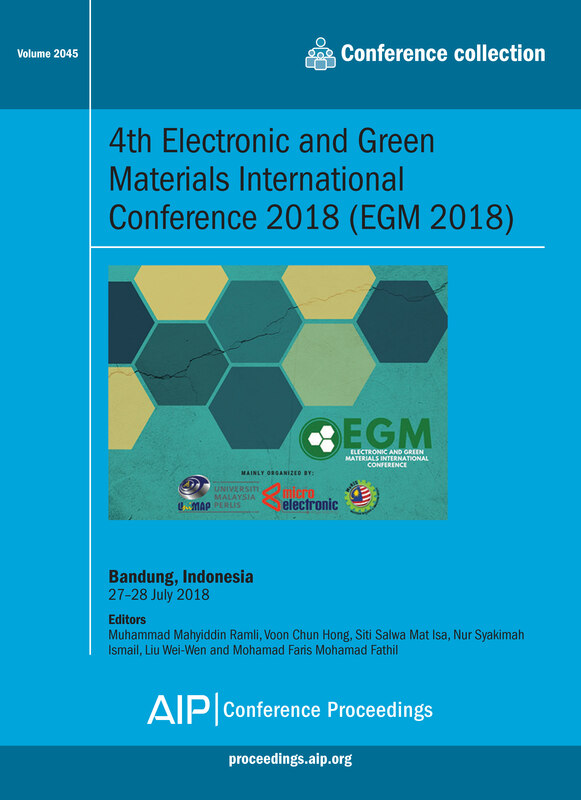 Summary of this volume: The 4th Electronic and Green Materials International Conference 2018 (EGM 2018) is the premier forum for the presentation of new advances and research results in the fields of nano-materials engineering and nanotechnology as a whole. After an overwhelming support from the previous EGM 2015 in Surabaya, Indonesia, EGM2016 in Phuket, Thailand and EGM 2017 in Krabi, Thailand, we organize the EGM 2018 to bring together leading researchers, engineers and scientists in the domain of interest from around the world. It covers the entire range of basic and applied aspects of the synthesis and characterization, modelling, processing and application of advanced engineering materials, especially for electronic applications. These proceedings will be of interest to: All level of researchers (PhD/postdoc/researchers) who are working on nanomaterials, nanoelectronics, and materials for manufacturing especially for electronic applications. For further information about this volume: Please view the table of contents available on AIP Publishing's Scitation platform: Volume 2045 table of contents.